Sorry there haven't been too many posts this month. I've been extremely busy with a lot of things and this weekend finds us in waiting for Hurricane Irene. If we get hit the way people are expecting us to, I may be out of power for a while. So what better day to post than the day before we get hit. Today I share with you an album that has been in my collection for as long as I can remember. It's sort of a concept album. It's Jeannie C. Riley's "Harper Valley PTA". The song was a huge hit for Riley and spawned a ton of sound a likes and copy cat records but it was this album that took the idea to a whole new level. Not all of the tracks deal with the characters from the original song but most of them do. The underlying theme being that people in glass houses should not throw stones. And as with all concept albums and soundtracks and shows, the main theme shows up a lot. And to date, this complete album has not seen the light of the digital age. A compilation of hits with the same title and cover art has been released but not this particular album. Here is that album that I have had the pleasure of listening to for the past 40 years. Here is "Harper Valley PTA". Enjoy! Jeannie C Riley-Harper Valley P.T.A. Here's a great episode from season three of the great comedy, Bewitched. Enjoy! 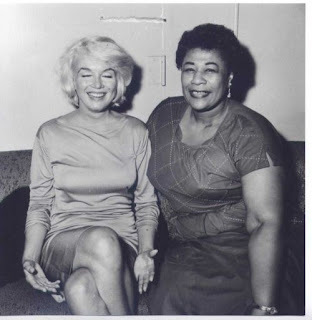 Last month I posted a great album of radio broadcasts from Ella Fitzgerald in the 40s. Today I bring you the same singer a couple of decades later. If you are like me, then you believe that Ella got better and better as time went on. She came to prominence in the 40s, went on to solo success in the 50s and became a legend during the 60s. The 70s and 80s just add to her already amazing presence and solidify her as one of the great all time singers ever. As I just stated, the 60s was where she became part of the elite who get to be called a legend and today's sharity is proof that it was earned. It's a concert from Amsterdam in 1961 and she sounds amazing! Don't believe me, listen for yourself. Here is Ella Live In Amsterdam, 1961. Enjoy! It's no secret that I love Judy Garland. 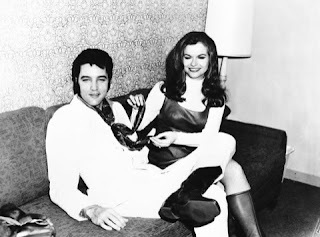 I love her the same way that I love Elvis. I think her voice is amazing and her behavior even more so. There is no denying that classic voice and even though "Under The Rainbow" is a great song no matter who does it, Judy always did it best. During 1944 and 1945, Judy appeared on many Armed Forces Radio Services broadcasts entitled "Mail "Call" and "Command Performance". These were usually transcribed onto "V-Discs" and sent overseas to be played on the radio for servicemen everywhere. In the 90s, Laserlight put out a CD compilation of these entitled "Mail Call". 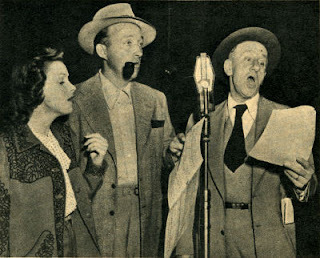 The first half of the album features a show from May 17, 1944 and features Bing Crosby, Jimmy Durante and Arthur Treacher. The second half of the album is from a June 3, 1944 broadcast of "Command Performance" that features Bing, Bob Hope and Frank Sinatra. Together they make a great compilation that I share with you today! Here is that great album. Enjoy!